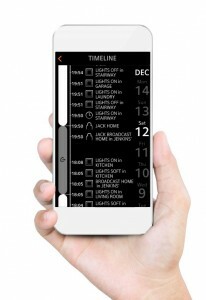 The app means it’s immediately clear where lighting is on, how much energy is being consumed and/or produced, etc. 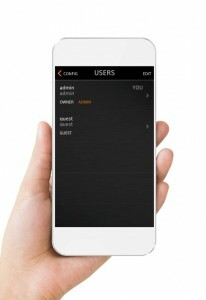 The house can also be placed to the right setting with the app, such as away, at home or going to sleep. Residents see on the smartphone who is at the door, can talk to the visitor and let him/her in (also remotely). 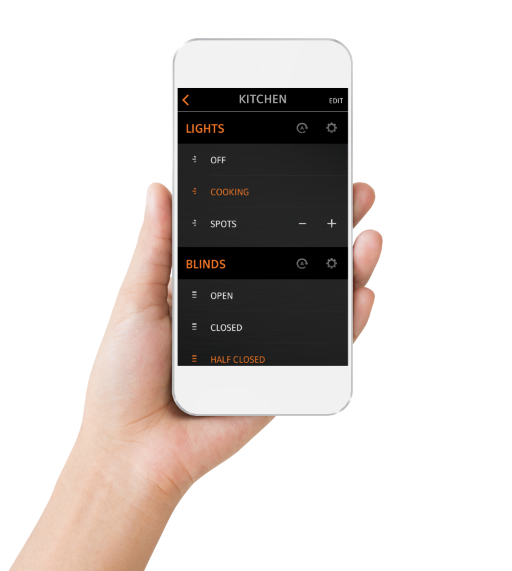 The ONE Smart Control app is extremely user friendly, intuitive and fast. It integrates the control of all functions and linked technologies in the home into one central location. Your son uses his iPod, your wife is hooked on her Samsung Galaxy, you love your iPhone. 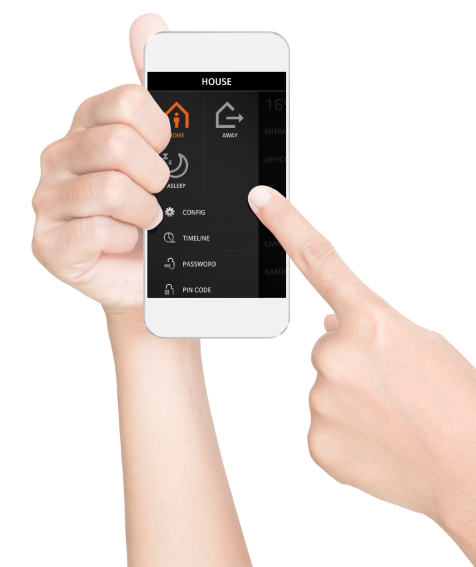 All devices can be used together seamlessly to control your home with ONE Smart Control. Use the app on your iPhone, iPod touch and iPad, or on all your Android devices. 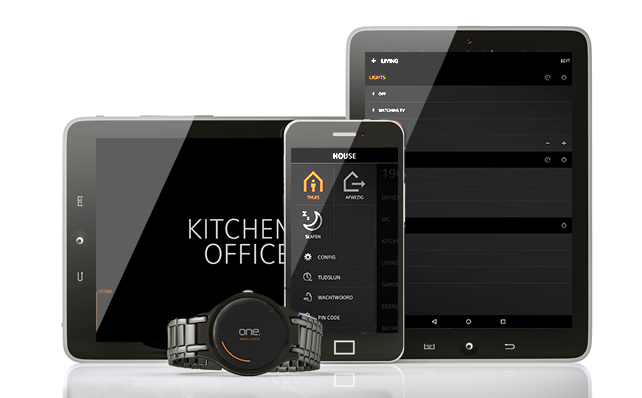 All ONE Smart Control software products are free. You only pay for the hardware. And the best part is: your ONE Smart Control Smart Home is constantly improving, thanks to the free updates! Convince yourself and try out the app’s test mode. You can see how to use the app and experience it in a virtual test environment. Insight at a glance into the energy consumption of the heating, heat pump, ventilation, etc. The app also allows you to monitor solar panels’ energy production. Does the heating require maintenance? Or does the ventilation suddenly use more energy than before? That can also be seen on the app.